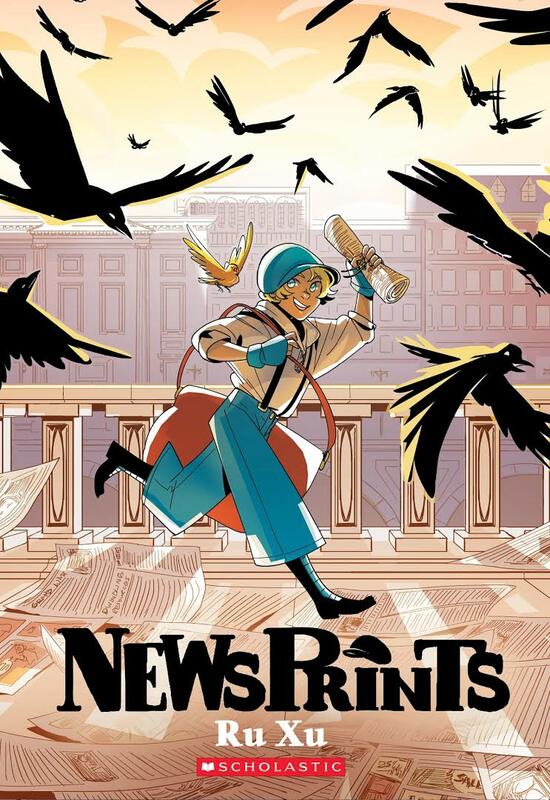 Ru Xu's graphic novel Newsprints revolves around a young girl named Blue who so badly wants to sell newspapers that she's willing to disguise herself as a boy, boys being the only one considered socially accepted to take on such a task. While working as a newsie she meets a scientist who may have a major role to play in the current war, as well as an mysterious character named Crow. I quite enjoyed the manga-styled art, especially with sepia tones lending to the story's pseudo-historical fiction setting. As well, I thought the themes of pursuing dreams, even despite society's expectations, to be important and handled well. Would these be enough to appeal to modern younger readers who mightn't care a whit about newspapers? I'm not sure. There are some steampunk elements that eventually make the story more exciting but for me the pacing was off, taking a little too long to get to such elements.